Upon submitting the Registration Form, each participant will receive Registration number by e-mail to be included in the payment details (in case of payment by bank transfer). Please do not send any payments (bank transfers) without your Registration number included in the payment details. Such payments cannot be identiﬁed. Please note that unpaid pre-registration will not be considered as a valid registration unless fully paid and confirmed. Therefore a pre-registration summary cannot be taken as a valid registration confirmation. Please make sure to pay your registration fee within the time frame for early or late registration. If your payment is not received before the deadline, you will be automatically charged the latter fee. 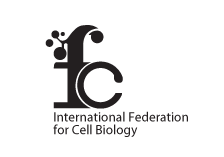 * IFCB Member Organisations - For full listing please visit IFCB website. ** The official proof of student status should be submitted by email as a PDF attachment to the Congress Secretariat together with the registration. *** The official proof of PhD. student status should be submitted by email as a PDF attachment to the Congress Secretariat together with the registration. The registration fees do not include insurance of participants against accidents, sickness, cancellation, theft, property damage or loss. Participants are advised to arrange adequate personal insurance. Upon receipt of the correct registration fee (clear of bank charges), each participant will receive a confirmation of registration. It is obligatory to bring this confirmation to the onsite registration desk as a proof of your registration. Otherwise we cannot identify your pre-registration if any problem occurs. Please note that the registration for the various events will be confirmed upon payment on a “first come, first served” basis and numbers may be restricted. All fees for the Congress registration should be paid in EUR, free of all bank charges! A bank transfer can only be made upon receiving detailed information (account number, Registration number etc.) from the Congress Secretariat. Payments received without pre-registration details (name, Registration number) cannot be identified. After 30 June 2016 you are kindly requested to make all payments by payment card exclusively or to register on-site. Payment by bank transfer will no longer be available. In case of rejected on-line credit/debit card payment, the registration will not be processed by the Congress Secretariat. It is recommended that the participant contacts the credit/debit card issuer/bank first and checks if the on-line transactions are not disabled on the card. Afterwards, the online registration process has to be repeated. Please kindly note that for the purposes of the online registration and payment, only internationally recognized credit cards using highest standards of security are accepted. We accept following credit cards for the online payments: MasterCard, Maestro, VISA, VISA Electron and V Pay. For your easier reference, please check if your credit card is embossed, has 16 digit numbers and 3 digit CVC code at the backside plus a magnetic slip. Should you have any question in regards of validity of your credit card for online registration, or should you wish to check if payments with other cards like American Express are possible, please feel free to contact the Congress Secretariat. All online payments are processed via GPWebpay secure connection. GP webpay conforms to international standards and it meets the strictest safety requirements of the MasterCard SecureCode and Verified by VISA standards as defined by the MasterCard and VISA card associations. These standards are designated as 3D Secure and they ensure maximum payment security. Click here to learn more about online payments security. The final invoice will be provided to the participants only upon request. Please contact the Congress Secretariat to ask for your receipt. For more details kindly read Accommodation guidelines. Cancellation of registration fee - refer to the above conditions. Transfer of registration to another person - a fee of 20 EUR will be charged. Online registration will be closed as of 06 July 2016. All registrations received after this date will not be included in the list of participants. Complaints submitted after 25 August 2016 will not be considered. In accordance with § 5 of Act No. 101/2000 Coll. on the protection of personal data, all information given on this form are collected and processed solely for purposes of processing registration and accommodation requirements for the ICCB 2016 and for sending related messages to the data subject via electronic means pursuant to Act No. 480/2004 Coll. Summarized data from this form may be used by the administrator for internal statistical purposes and for internal use of the administrator. The participant acknowledges that he/she has no right to lodge damage claims against the organisers should the holding of the ICCB 2016 be hindered or prevented by unexpected political or economic events or generally by force majeure, or should the non-appearance of speakers or other reasons necessitate programme changes. With registration, the participant accepts this proviso.